Experience graceful mobility like never before in the 2016 Mercedes-Benz GLE! Building on eighteen years of success, this new Mercedes-Benz is one of the leading models in the midsize SUV segment. Previously known as the M-Class, this model embarks on a fresh journey not only with a new name but with advancements in both performance and design as well. 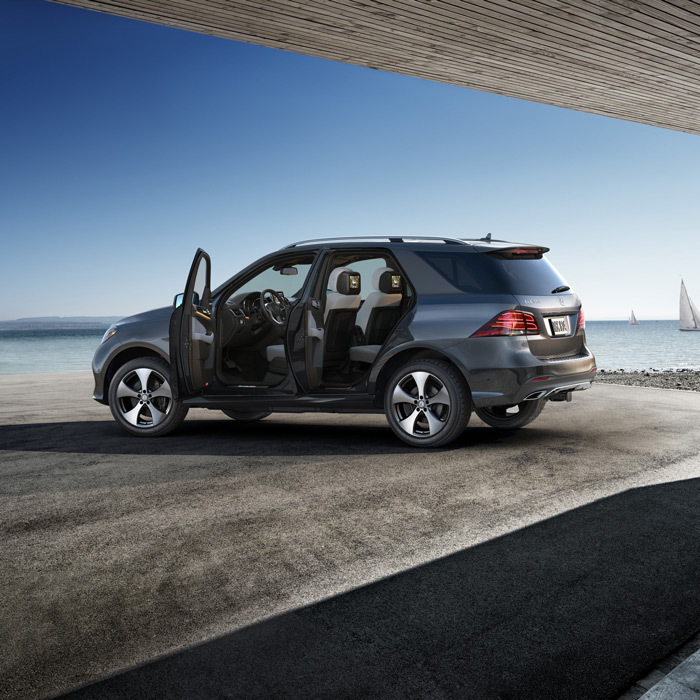 See all that this outstanding SUV has to offer and visit Mercedes-Benz of Union today! Our Mercedes-Benz dealership is conveniently located in Union, New Jersey, so if you live nearby in Westfield, Plainfield, or just over the bridge in Staten Island, New York, this is your chance to get behind the wheel of a lavish 2016 GLE! The advanced mechanical composition at the core of the 2016 Mercedes-Benz GLE paves the way for an extraordinary ride. This new Mercedes-Benz model is offered in six different trim levels and also with one of six engine options ranging from gas, diesel, and electric power. On one end of the spectrum, you will find the 2.1L BlueTEC® turbodiesel 4-cylinder engine. This diesel engine may be small, but it produces an impressive 201 horsepower and offers a great fuel economy of up to 29 MPG on the highway. Meanwhile, on the other end of the spectrum, you will find the AMG® GLE63 SUV’s handcrafted 5.5L AMG® biturbo V8 engine. Armed with its class-leading 577 horsepower, you will have the strength to tow up to an incredible 7,200 pounds! Drivers who prefer to have the best of both an economical and powerful ride will especially enjoy the plug-in hybrid model. Equipped with the 3.0L Twin-Turbocharged V6 and electric motor, this engine can produce a whopping 436 horsepower while still allowing you to travel 18 miles purely on electric power. With so many different mechanical configurations, you will have no problem finding a 2016 GLE that suits your personal driving style. Of course, there’s more at work behind the performance of the 2016 GLE. As a standard, this Mercedes-Benz is fortified with an advanced 7-speed automatic transmission, a 4MATIC® all-wheel drive system, and an AGILITY CONTROL® suspension that all work simultaneously to provide a smoother ride. Together, these components enhance overall handling and create better traction through slippery conditions and sharp curves so that your rides are consistent and steady. 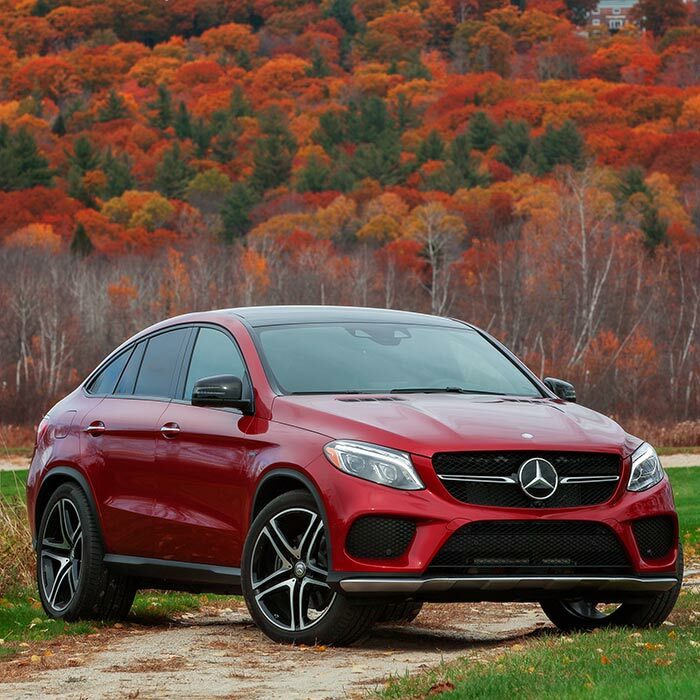 These are just a few ways in which the 2016 Mercedes-Benz GLE gives you greater confidence on the road. Learn more about the variations of each trim level by checking out the model page on the official 2016 Mercedes-Benz GLE site. Naturally, the 2016 Mercedes-Benz boasts an appearance equally as stunning as its performance. Its muscular silhouette and broad stance are telling of the power it wields while elegant details like the arched LED headlights and subtle chrome trim speak to the luxury that resides inside. Fitted with the wheel of your choice, ranging anywhere from 18 to 21 inches, you can now move forward with more conviction and style. 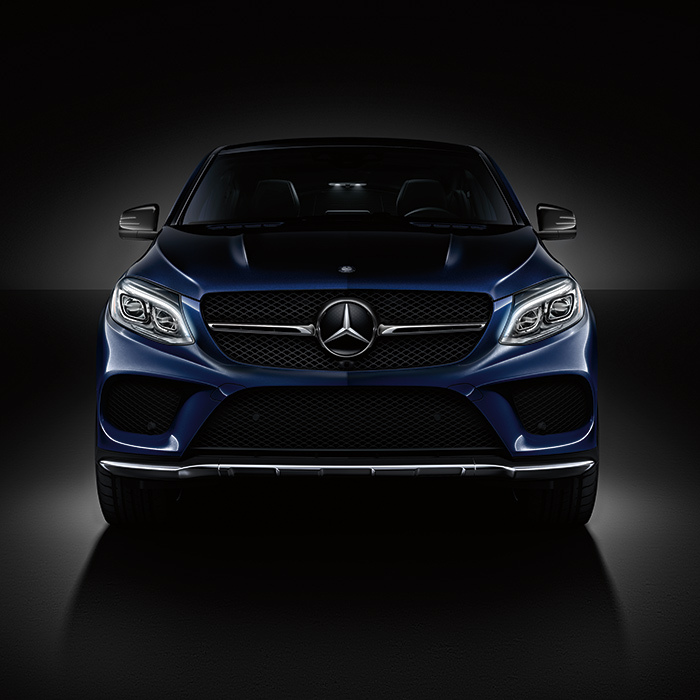 This high-end style of the exterior is echoed within the new GLE as well and is sure to delight your senses. Delicate wood trim, plush upholstery, and features such as the available Panorama Roof create a refined and comfortable atmosphere. The 60/40 split interior is so spacious, you can even fold the seats down for 80.7 cubic feet of additional space! Or you can always leave it up and invite four lucky passengers to go on an unforgettable ride with you. As if the 2016 GLE could not get any better, you will be pleasantly surprised because this new Mercedes-Benz SUV also hosts a suite of advanced technologies to not only reinforce your comfort but your convenience as well. Controls are strategically positioned around the driver’s seat and create a more intuitive flow. Driver and passengers alike will enjoy the user-friendly 8-inch infotainment center that offers greater connectivity to the net and allows you to use an array of applications with more ease. Everyone onboard will particularly enjoy the premium Bang & Olufsen® BeoSound™ sound system that will amplify the sound quality of your favorite tunes. Aside from entertainment-oriented features, the new GLE is also fortified with many safety technologies like COLLISION PREVENTION ASSIST PLUS** and DISTRONIC PLUS®. *** Driver-assist features like these will work not only make driving easier on you but will also help to prevent and respond better during the event of a collision as well. No matter where you choose to go, the 2016 GLE will get you to your destination safe and sound. If the 2016 Mercedes-Benz GLE sounds like the ride for you, then it’s time for you to visit Mercedes-Benz of Union! We are located in Union, New Jersey, and welcome our friends and neighbors from Westfield, Plainfield, and even Staten Island, New York, to make the short trip to our Mercedes-Benz dealership to learn more about how our team can help you get behind the wheel of your very own 2016 GLE. We’ll make you feel right at home at our Mercedes-Benz dealership, so don’t wait and visit us today! If you have any questions, please call us at (888) 346-7157 or message us through our online contact form, and we will be sure to guide you in the right direction. *No system, regardless of how advanced, can overcome the laws of physics or correct careless driving. Please always wear your seat belt. ** COLLISION PREVENTION ASSIST may not be sufficient to avoid an accident. It does not react to certain stationary objects, nor recognize or predict the curvature and/or lane layout of the road or every movement of vehicles ahead. It is the driver’s responsibility at all times to be attentive to traffic and road conditions, and to provide the steering, braking and other driving inputs necessary to retain control of the vehicle. Drivers are cautioned not to wait for the system’s alerts before braking, as that may not afford sufficient time and distance to brake safely. ***DISTRONIC PLUS® adaptive cruise control is no substitute for active driving involvement. It does not adapt cruising speed in response to stationary objects, nor does it predict the curvature and lane layout of the road ahead or the movement of vehicles ahead. It is the driver’s responsibility at all times to be attentive to traffic and road conditions, and to provide the steering, braking and other driving inputs necessary to retain control of the vehicle. Drivers are cautioned not to wait for the COLLISION PREVENTION ASSIST may not be sufficient to avoid an accident. It does not react to certain stationary objects, nor recognize or predict the curvature and/or lane layout of the road or every movement of vehicles ahead. It is the driver’s responsibility at all times to be attentive to traffic and road conditions, and to provide the steering, braking and other driving inputs necessary to retain control of the vehicle. Drivers are cautioned not to wait for the system’s alerts before braking, as that may not afford sufficient time and distance to brake safely.